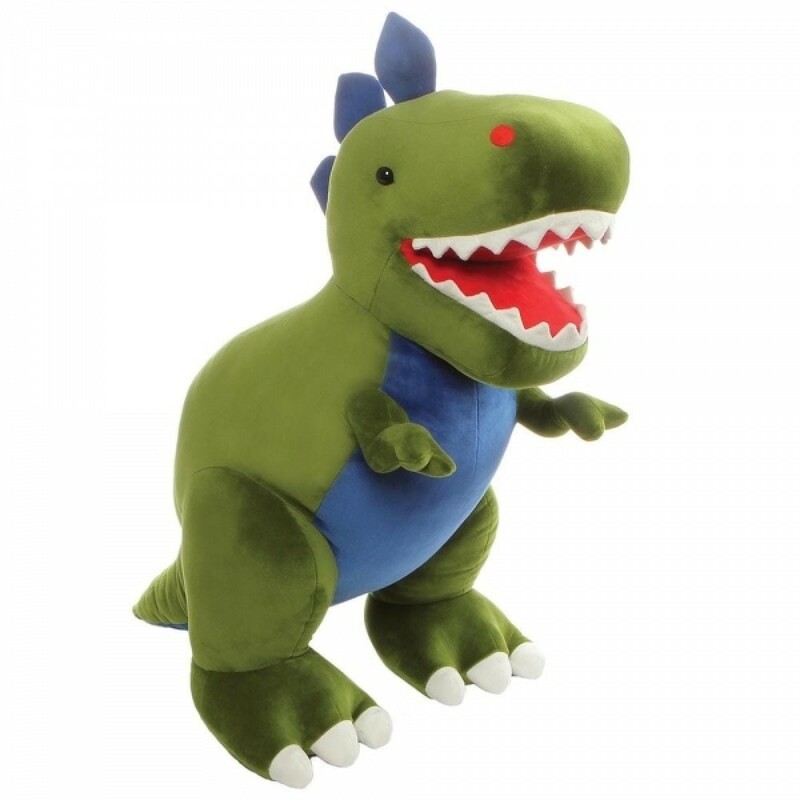 Chomper is a soft toy little dino fans are going to love! A beautifully made T-Rex in two tones of green with striking blue scales on his back and very long tail, he's long on stature, coming in at a pretty impressive sixty three centimetres high! Super cute but still very much pulling off the King of the Dinosaurs title, he's is sure to be a prehistoric companion your little Dino hunter will love! In bold colours and with a vibrant roaring design, Chomper's the perfect choice for any child that wants their soft toys to have a bit of dinosaur attitude! He's exceptionally well crafted by Gund, a company that have been making amazing soft toys in the States for over a century. Super safe, totally non toxic, surface washable and suitable from a year up, he makes a stunning gift.